Sea level rise is killing bald cypress trees, according to an FIU study. As sea levels rise, high salinity can sometimes cause plants to absorb too many nutrients from the soil and, at other times, not enough nutrients. This phenomenon — known as nutrient stress — is potent enough to kill bald cypress trees, said FIU ecologist Lu Zhai, who led the study. Zhai and the research team also found some waxmyrtle shrubs are affected by water stress, where high salinity limits the water supply going into a plant’s roots. The different responses of the two species may be due to how their leaves interact with climate, as well as how the plant converts nitrogen in the atmosphere for growth and development. Knowing how different species respond to sea level rise can inform conservation and management strategies tailored a species. 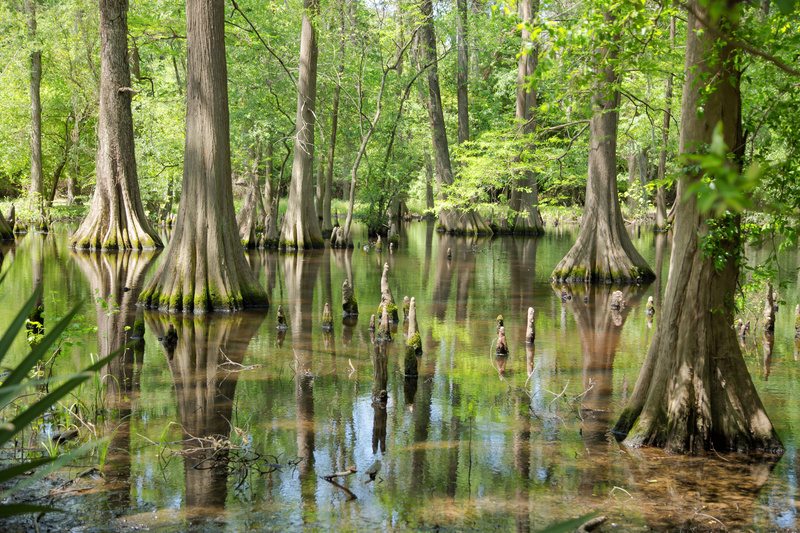 Bald cypress trees are commonly found throughout the southeast United States, including Big Cypress National Preserve. Waxmyrtle is a popular ornamental shrub used for landscaping and habitat restoration and is a source of honey. It is found throughout the U.S. and the Caribbean. Zhai and the research team examined bald cypress trees and waxmyrtle shrubs growing along the Waccamaw River in North Carolina and South Carolina. A temperate wetland, research done there can inform research, management and conversation in a tropical wetland, including the Florida Everglades, Zhai said. The findings were published in Environmental and Experimental Botany.